I actually felt a pang of envy when news emerged this week that a bidder had been granted exclusivity in regards to taking over that lot up the road. Of course, no-one knows who this bidder is or what their plans for the club are but it is a sign of solid progress on their part towards a new era, and the fact that they are reported to be willing to spend £150million would suggest that whoever is behind the bid isn’t exactly a pauper. Of course Blues, or BIHL for that matter, have also released news this week. A company called Trillion Trophy Asia has been confirmed as the solitary preferred bidder for a stake in BIHL, not to buy the holding company and the club outright. It’s a step forward, but a relatively small step forward from what I can see. I think Blues fans would prefer that there were new owners full stop, of a club totally free of BIHL and those who have spent years lurking in the background. It has been said that it is progress and Ernst & Young are doing things by the book as the people now in charge of BIHL. It’s progress, but still I don’t think we can start to imagine who our Gazillionaire owner may be just yet. In the meantime, it seems to be pretty much as you were. The club needs to be run by someone, and I think the man who has been the head-honcho at the club over the past eighteen months or so has done a very good job in the circumstances. Panos Pavlakis arrived at Blues as an apparent relation of Carson Yeung, so it’s fair to say that that family tie combined with no apparent background in football meant he was a figure who came under the suspicion of Blues fans straight away. I think my reaction at the time was that he was just going to be another puppet. Credit where credit is due though, he has run the club properly. Off the pitch he seems to have brought more financial stability to the club and helped to bring in the aforementioned Ernst & Young to run BIHL. As I mentioned it is still going to be a very long, arduous process before a desirable resolution is reached, but at least we have someone at the club now whose sole aims don’t appear to be to act on Carson’s every order or to stuff his own pockets as much as possible. Panos seems to be someone actually acting in the best interests of the club, a refreshing change. Around the club generally he has been the first communicative and visible representation we have had from on high for a fair old while. Regularly attending games at all levels (and for both of the male and female team) shows someone with an interest in developing all aspects of the club beyond the decision making behind which one of our next young talents we can flog off for some risible amount. Through his regular programme notes and conducting numerous meetings with fans he’s made a start in opening lines of communication that were jammed shut for years. Things aren’t perfect, but they are far better than they were before he came in. But ultimately the chairman could say absolutely nothing to the fans if he wanted to and could stand outside St. Andrew’s before every home game naked, as long as the team is winning the fans won’t be complaining. And Panos has to take huge credit for overseeing a dramatic change in fortune on the pitch last season. He got rid of Lee Clark whose time really was up, but it’s one thing to sack a manager and quite another to get the appointment of his successor right. How many club chairmen have made the decision to sack a flailing manager only to appoint someone in his place who does even worse? In appointing Gary Rowett, someone I imagine he would have known next to nothing about when he first arrived at Blues, shows how well he has grasped English football since coming here, how he has actually understood what the club means to the fans (and in the case of appointing Clark’s successor who would and wouldn’t automatically be a popular appointment) and shows just how shrewd a bloke he is when he appointed Rowett. Ultimately Rowett’s arrival was the catalyst of our drastic improvement last season, and ultimately Panos was the catalyst of Rowett’s appointment. 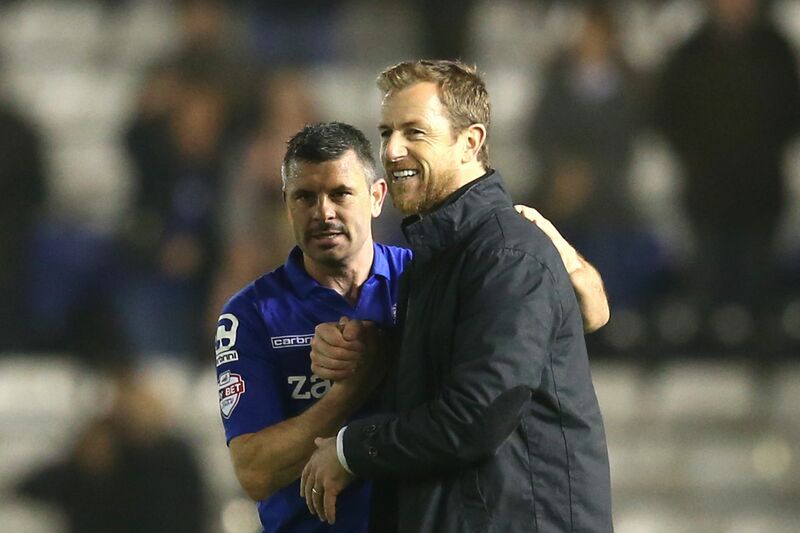 Additionally, he’s also backed Gary Rowett as much as he can. It is fair to say that the eye-wateringly tight constraints of austerity the club went through for a season or two under Lee Clark have been relaxed somewhat, and GR now has a chance to sign players of proven Championship calibre; say what you want about Clark, but usually the money (or lack of it) he could spend meant he was often taking a punt on someone who had no pedigree whatsoever at the level of football we are at. I honestly don’t think Panos was ever enamoured with Clark as a manager, and depending on who you believe Panos would have sacked him months before he did had his hands not been tied by other people. I also honestly think Panos was shrewd enough to stash money away for when he could sack Clark so that he could give Clark’s successor a running go at it in the transfer market. If my hunch is right, it is ruthless but ultimately very shrewd of our chairman to do that; how demoralising and hampering it would have been for any new manager to go into the transfer piggy bank only to find there was nothing in there. So all in all when people talk about who was last season’s star man, people are going to look at players such as the Don, Paul Caddis and Michael Morrison or look at the manager who arrived last autumn. But I think credit should be heaped on to the man who has been at the very top through it all, the man who has made the big decisions that needed to be made and got them all right. 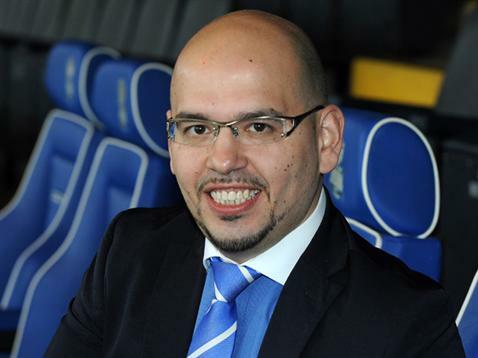 Panos Pavlakis isn’t the man people want to be Blues chairman in a year or two’s time, but the job he has done in the time he has been given the responsibility for taking care of the club has been second to none. dont trust any of them……another cheek to the same bottom.